We are taking our summer break. We will start practice again in September - join us! Have you heard?? 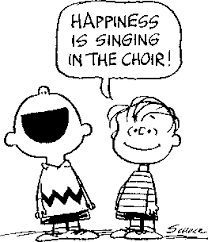 Singing is healthy for you!! 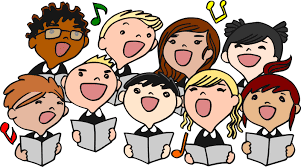 The Cranberry Civic Chorale was founded in 1994 by John Milius, a township supervisor, after finding out that many residents had an interest in joining a group. The choir currently has about 30 singers, but would love to have some new members. You do not need to be an experienced singer to join the group, jut have the willingness to learn - we are happy to help you along. We are primarily an adult group, but we wouldn’t object to some younger members, provided that are at least 12 years old, and have some rudimentary music reading skills. The chorale is a great place to experience fun and fellowship. The chorale has two seasons yearly. We practice from September through November, then perform from the end of November through the middle of December. During this time, we perform Christmas and other seasonal songs for church social groups, senior care homes and other similar venues. Our second season runs from late February through the beginning of July. We generally sing patriotic songs and show tunes during this performance session. Each season we have around ten-fifteen performances. We perform both on weekday evenings and afternoon hours on the weekend. Practices are held at Plains Presbyterian Church on Monday nights from 7:00PM - 8:30PM. For questions, please contact Carolyn Steele at cranberrychoir@gmail.com or (724) 453-1684. Our performance schedule can be found on the schedule page.